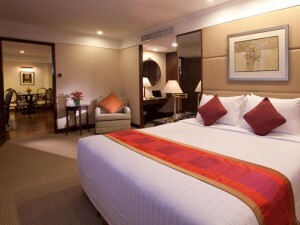 The Royal President Hotel is a four star hotel on Sukhumvit Soi 15. Built in 1992, the hotel was renovated in 2010 and has large guest rooms that are much bigger than those found in newer hotels. Free Wi-Fi is available in all of the rooms. 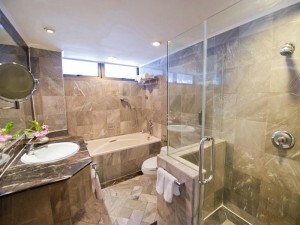 Many rooms have spacious bathrooms with bathtubs and separate showers. Although some common areas are showing their age, the Royal President Hotel offers great value for money and a convenient location close to Asoke BTS station.